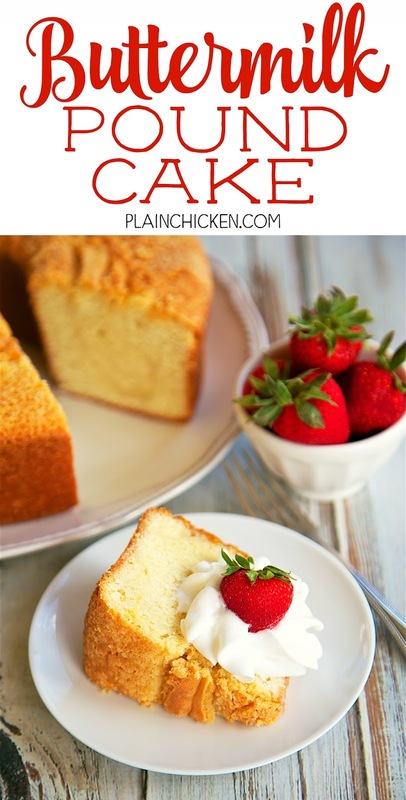 Buttermilk Pound Cake - THE BEST! There are never any leftovers when I take this to a potluck. Sugar, shortening, eggs, buttermilk, baking soda, flour and vanilla, butter and nut flavoring. Makes a great gift! Freezes well too!! Pound cakes are my go-to dessert. They are easy to make and always a hit! 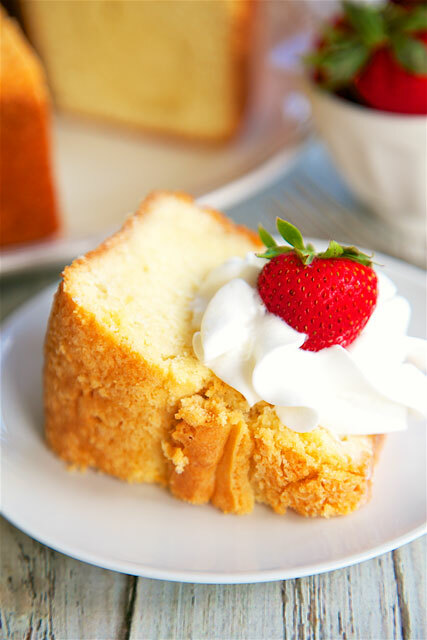 This Buttermilk Pound Cake is no exception. It has great flavor from the buttermilk and the Vanilla, Butter & Nut flavoring. The flavoring is the same flavoring that I used in my Butter Pecan Pound Cake. 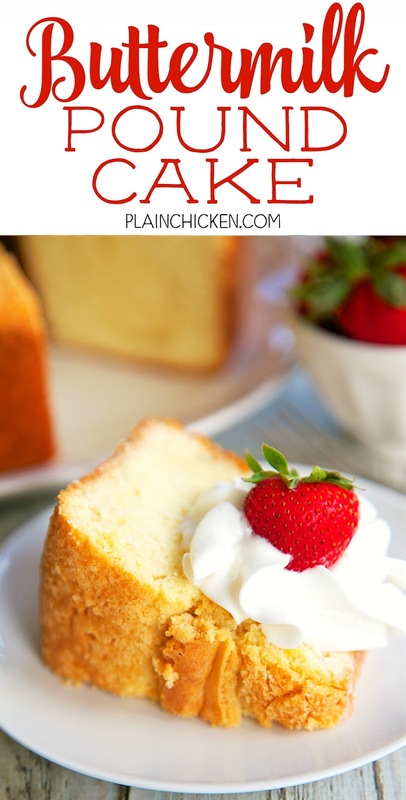 We loved that cake, so I decided to use the flavoring in this pound cake. It made the cake! SO good!!! 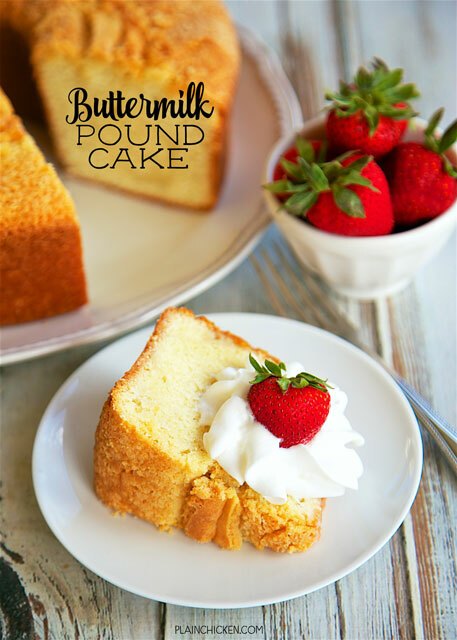 This Buttermilk Pound Cake is a little different that my other pound cake recipes. This recipe uses Crisco instead of butter. I haven't made this with butter, so I can't say how it would work if you want to substitute butter. I urge you to try the cake the way the recipe is written. It is really good. Not overly sweet, moist and full of flavor. I used a tube pan for this recipe and it was the perfect size. If you use a Bundt pan, make sure to leave about an inch of the pan unfilled. You need to leave room for the cake to rise. If you fill the pan to the top with batter, it will overflow in the oven and make a huge mess. Preheat oven to 325 F. Grease and flour a tube pan. Set aside. In the bowl of an electric mixer, mix together shortening and sugar until light and fluffy, about 2 minutes. Add eggs, one at a time, and mix well. Stir baking soda into buttermilk. Alternately add flour and buttermilk mixture to bowl. Stir in flavoring. Pour batter into prepared pan. Bake for 1 hour and 20 minutes or until top of cake is golden brown and toothpick inserted in center comes out clean. 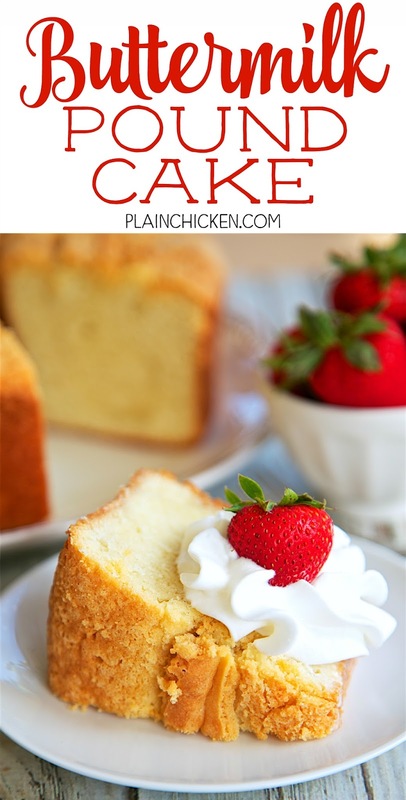 Pound cake is so delicious! This one sounds great and so easy. The flavorings, is it 1 tsp. of each, OR one of choice? Thanks for responding. I made this cake last night and it's absolutely delicious! A tad bit crumbly not sure what I did to make that happen but a great recipe nevertheless!